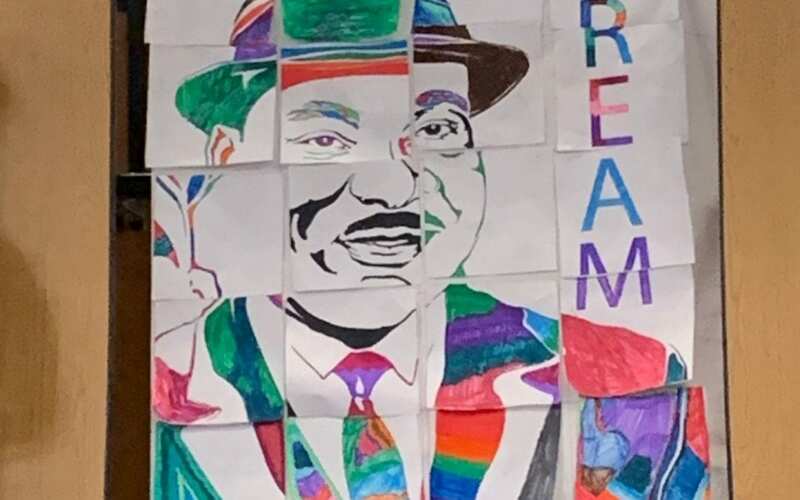 Union House Elementary School Pioneers Honor Martin Luther King, Jr.
Every Friday, students at Union House Elementary School can be found in the Multi-Purpose room for a school-wide Pioneer Pride Assembly. Union House Elementary School was named after the Union House built by Amos Butler in 1862, proclaiming his strong belief that the states should remain unified in the days before the Civil War. Unity is still a large part of the philosophies at Union House, and the Pioneer Pride Assemblies provide a way to build pride and respect for the school within students and to unify the school family. 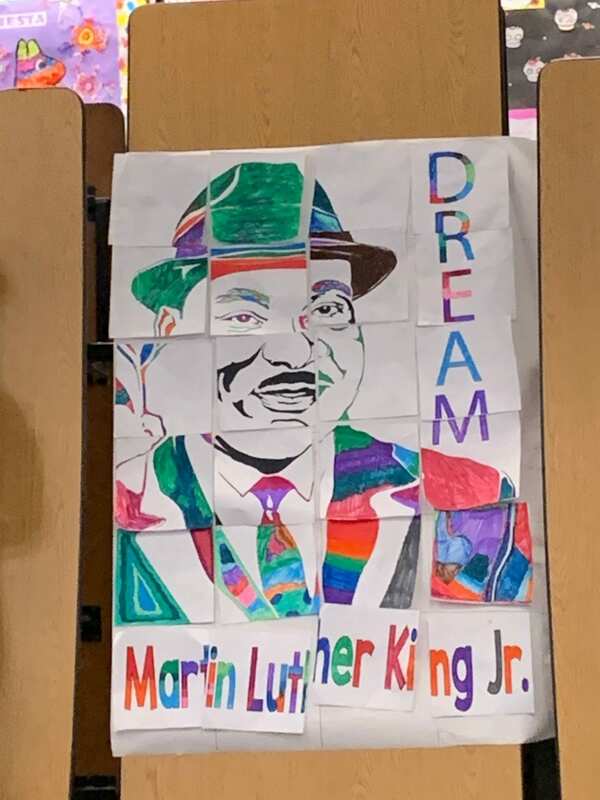 The Pioneer Pride Assembly held on January 18, 2019 celebrated Martin Luther King Jr. and his efforts in the fight for civil rights. Union House’s Multi-Cultural Committee planned a morning of events to be showcased at the Pioneer Pride Assembly in honor of Martin Luther King Jr. began with a flag salute lead by the fifth grade color guard. The program also included a teacher-led sing-a-long of civil rights movement songs accompanied by an art and photography slideshow as the backdrop and a civil rights themed skit performed by students. Giving students an opportunity to learn about Martin Luther King Jr. and his accomplishments and role in the civil rights movement is important so students understand how to continue his legacy. Union House Elementary School strives to celebrate the rich diversity of its student population, and this special Pioneer Pride Assembly is just one way that the campus ensures students feel welcomed and safe in a positive environment.